Hot Pie from Game of Thrones has swapped his career in the show to embark on a business venture in real life by opening an online bakery… called, wait for it, ‘You Know Nothing John Dough’. 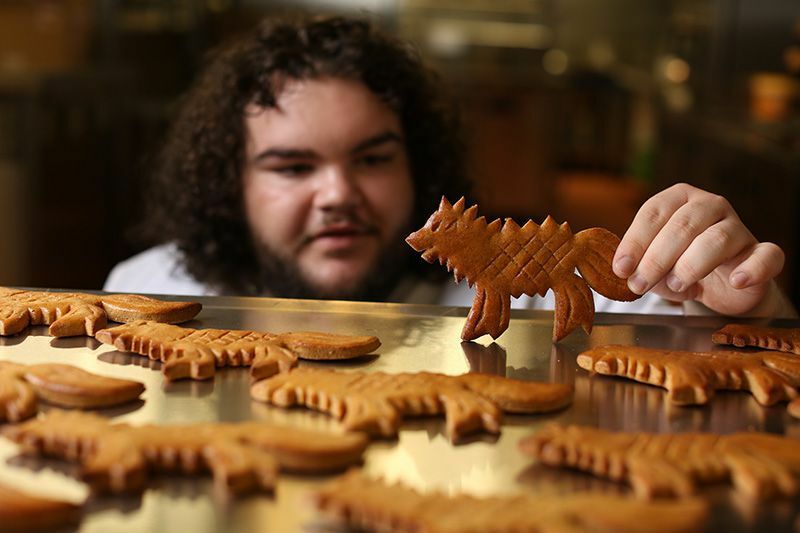 Hot Pie was the guy who accompanied Ayra Stark on the road to the Wall but parted ways after he was taken on as a baker at the inn… before leaving her, he gave her a direwolf-shaped loaf of bread. 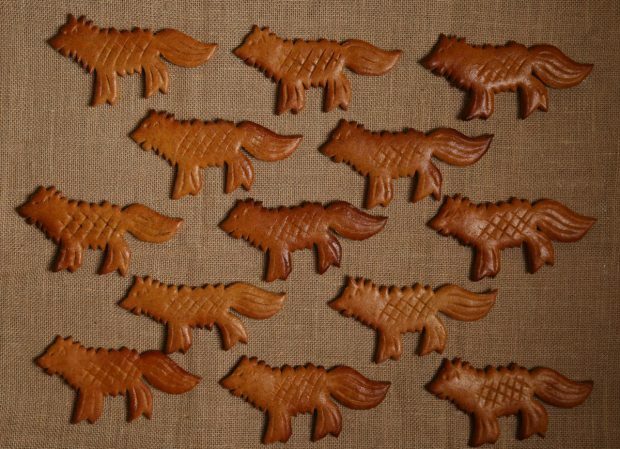 And that’s what he’s selling.. Direwolf bread. You Know Nothing John Dough opened exclusively through Deliveroo on the same weekend as the season 7 premiere and is only going to be around for a limited time. The loaves are said to be made from whole wheat cornbread with orange zest and best served slightly warm with soft butter, yes please! 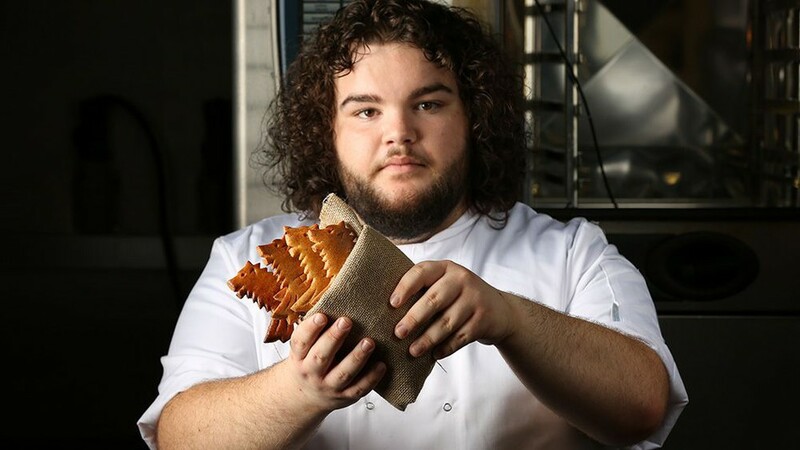 Hot Pie’s Direwolf loaves are a favourite for Game of Thrones fans, and people are always asking me for the secret of my recipe. I can’t share that, but Deliveroo customers will have the chance to try them themselves. You don’t even need to take a dangerous walk down the King’s Road to visit, it comes to you. The Direwolf loaves are available on Deliveroo and cost just £1 each. He’s definitely got better with the shape!